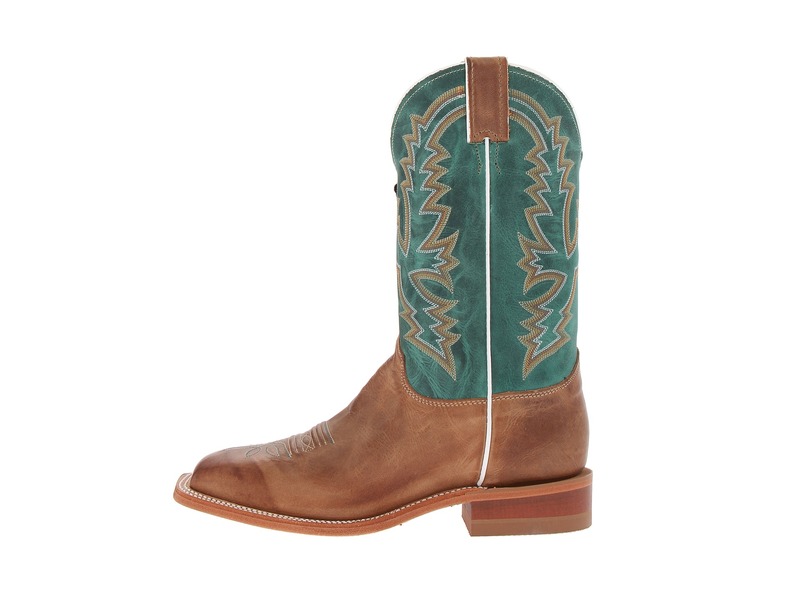 Justin Bent Rail® Woman´s Kenedy Tan 11" Boots | West4us.cz - Nejen westernová móda, dovoz z USA, skvělé ceny. 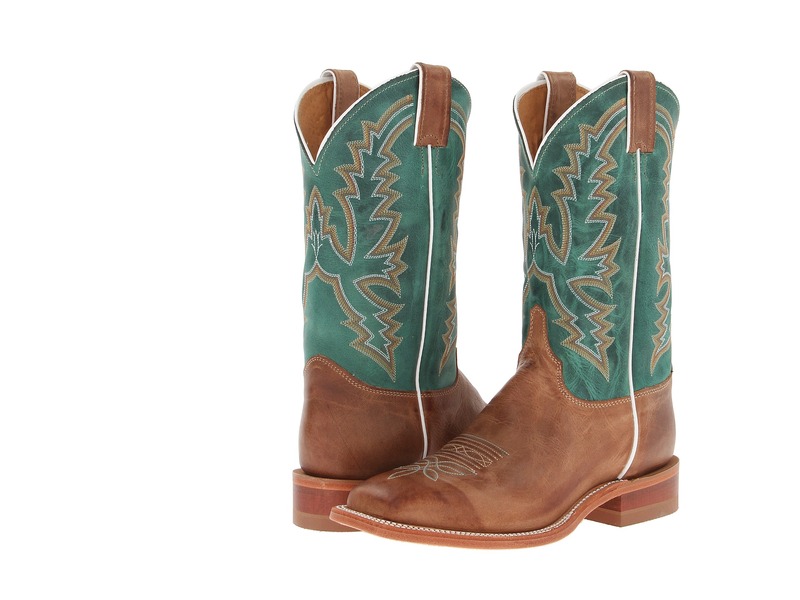 The Kennedy Tan 11-inch tall Bent Rail® Women's cowboy boot is a jewel-toned rodeo gem. The emerald calfskin upper is an ornate backdrop to the striking gold stitch pattern and compliments the burnished tan vamp. 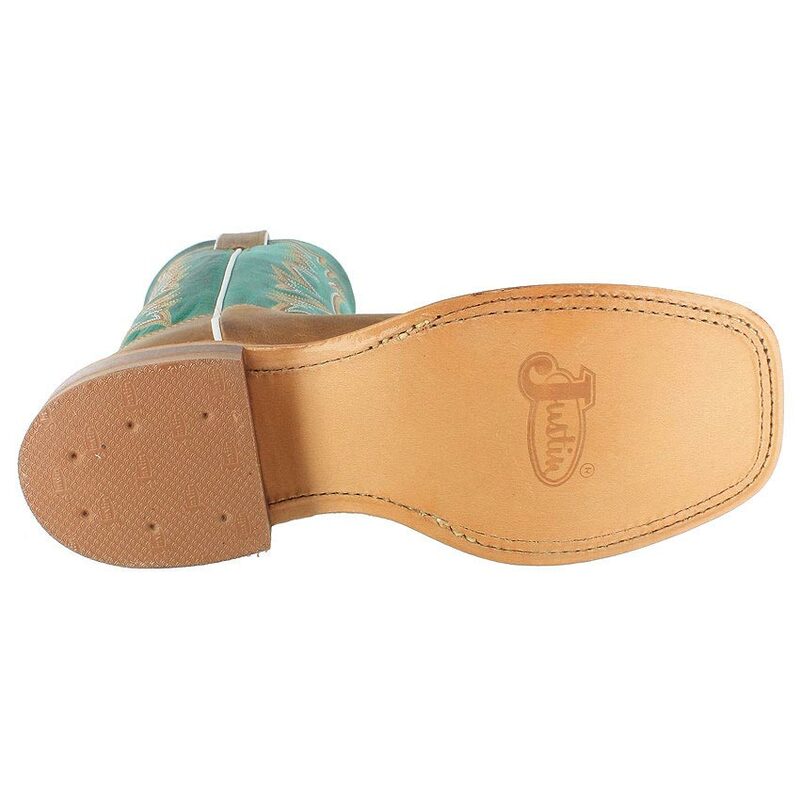 Its square toe, standard heel and J-Flex Flexible Comfort System® insoles allow for a relaxed and comfortable fit. 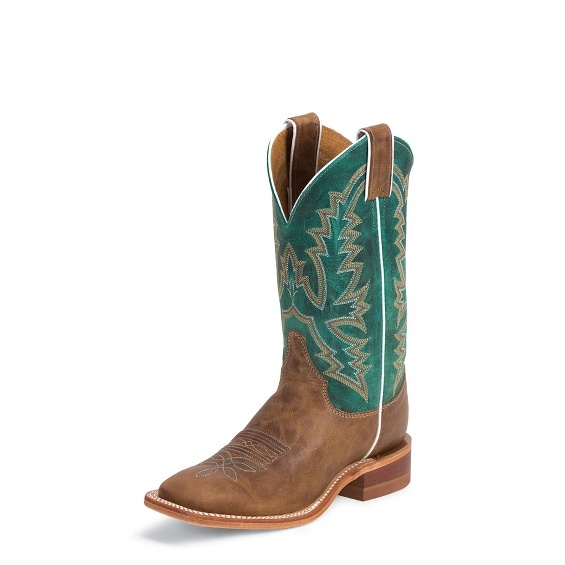 This style is proudly Handcrafted in the USA with imported materials.